"Brilliant, absorbing, could not put down read!" Another Six Short Adventures Featuring Boro`s Greatest Detective. With a series of successful cases behind them, Holmes and Watson have formed a formidable partnership. When Holmes is thrown in to prison for an alleged computer hacking incident, Watson starts to doubt how well he actually knows his friend. The more he learns, the more acute his doubts become. Putting his concersns aside he struggles to establish Holmes' innocence. Help comes in the unlikely shape of a figure from their past... the Woman. 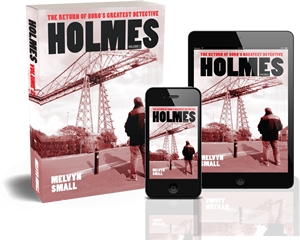 Driven by boredom, Holmes investigates a series of murders that the police of Middlesbrough seem to have long since abandoned. It soon becomes apparent that the killings are connected and another will soon be upon them. With Holmes theorizing on something far worse than a serial killer, the two detectives face a race against time before the next killing. What Watson could never have imagined is who that next victim is. Following several gruesome murders in Norton, Detective Inspector Lestrade seeks out the help of Sherlock Holmes. With Holmes initially reticent to get involved, Doctor Watson has to cajole his friend into helping in the investigation. When Holmes finally engages, what they eventually uncover in a small village in the North East of England is quite bizarre. Press ganged by into attending a a glittering event at Middlesbrough Town Hall, Holmes makes full use of free bar. With Watson wishing he never countenanced the idea, they stumble into a cool Middlesbrough evening with their reputations battered but still intact. The next day they are approached by the Mayor of Middlesbrough desperately seeking there help to recover an iconic emblem of Middlesbrough, stole during the previous evening's festivities. With Holmes suffering from mental exhaustion, Watson has severe concerns for his long-term health. When a delirious Holmes starts seeing omens and portents of doom, the doctor has no choice but to concede to his friend's sectioning in hospital. Watson's bedside vigil in interrupted by an off-duty police officer who seeks out his help to investigate the theft of a racehorse, due to run in the Beryl Coronet. 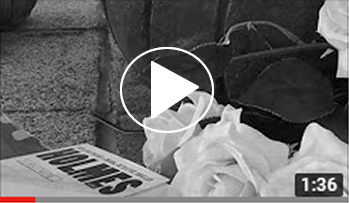 As Watson sets out on a lone investigation, it soon becomes apparent that Holmes' method is not easily replicated. When Mary accepts Watson's proposal of marriage, he realizes that he can no longer expose himself to the danger which invariable comes with his association with Sherlock Holmes. As he calls time on their partnership, he agrees to on one last hurrah, a final confrontation with the Professor who appears to have dogged them throughout their association. As the detectives stride into their final battle, the outcome is far from certain. Support independently-written literature and buy Holmes Volume 2 from Indipenned.com at an RRP discount.